The bus trip from the city to the starting point for today’s walk takes approximately 1 hour 10 minutes. Stage 1 of my walk finished at the Opossum Bay shop so Stage 2 needed to start from there. By the way, it makes sense to alert the bus driver that you do not know the area you are travelling to, that you want to get off at the Opossum Bay shop, and that you would like him or her to stop and let you off when you reach your destination. Our Metro drivers are very happy to provide this simple customer service. When I alight from the bus at 9.10 am, what I see ahead is excitement. I watch the bus disappearing along the road and know that this is the direction I must take, however on different paths. 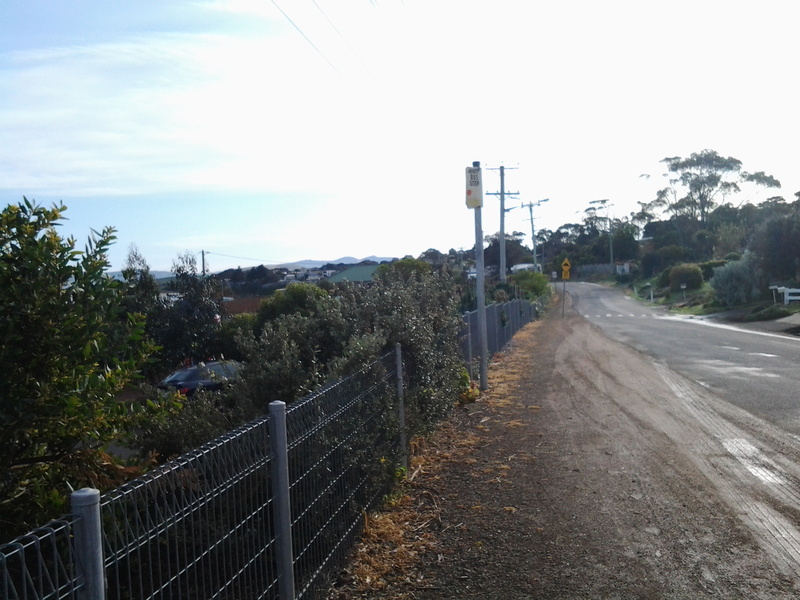 From the Taroona TasMAP, I know the bus will not travel nearly as far as I will walk, so that once I have reached my destination of Gellibrand Point, I will need to retrace my steps to a bus stop. I am unsure if I might find trails, and whether I might need to exert some pioneering spirit and discover a way. I don’t know who I will meet or where. I wonder what I will smell and what I will hear. This promises to be a terrific adventure which will use all my senses. Stepping off into an unknown world. 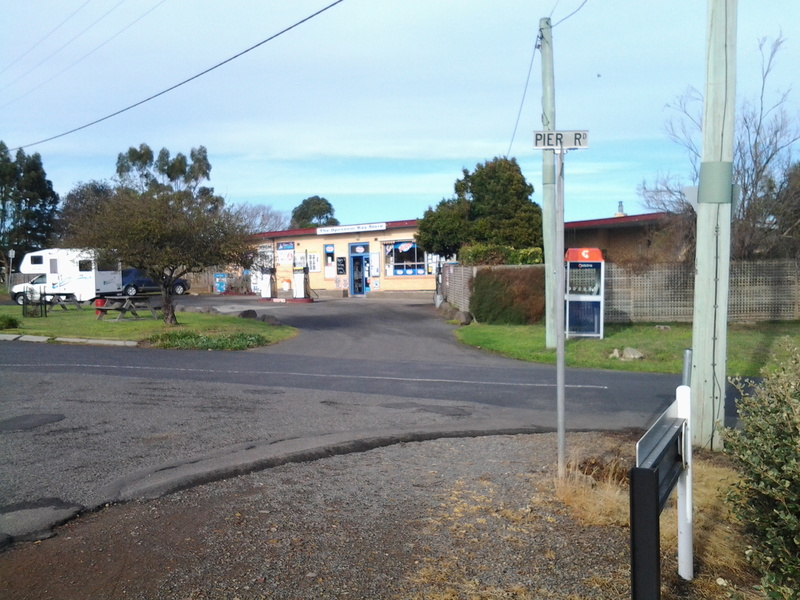 And so I take the first step along the road (no footpaths) from the Opossum Bay shop. The sun is shining. Air is crisp. Nobody is out and about and walking around. 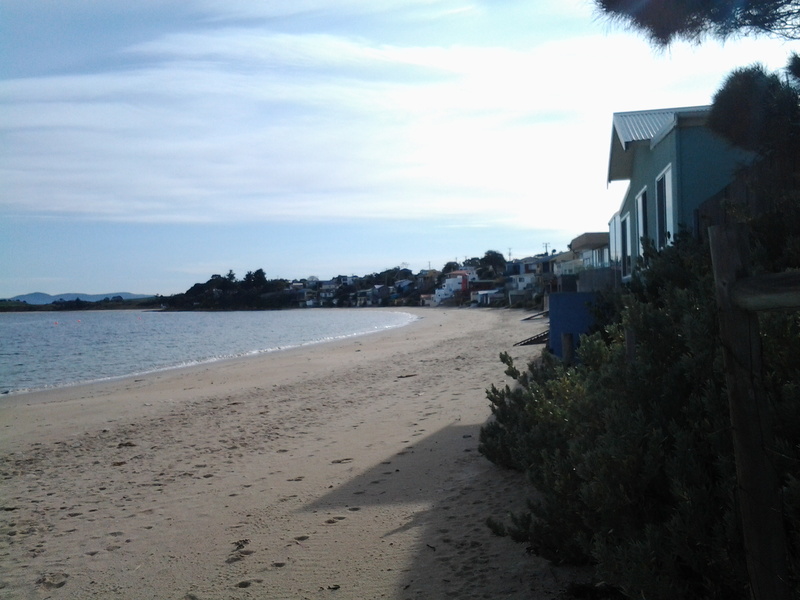 Opossum Bay is peaceful and quiet except for the soft sounds of water lapping onto a beach in the distance. 100 metres along the roadway a sign points to public toilets which, after an hour on the bus, are a good place to visit. 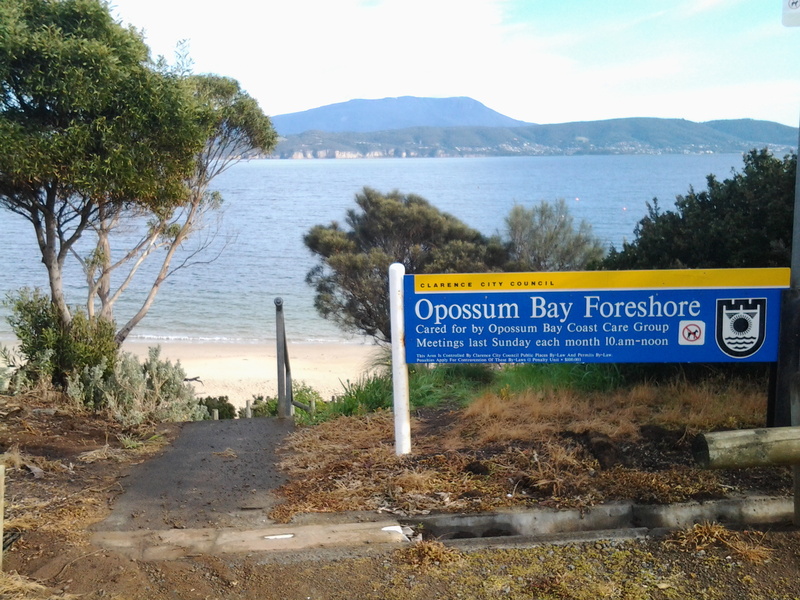 At the bottom of the attached carpark, a large placard indicates a tiny walkway down onto Opossum Bay foreshore. I was filled with awe when I stepped onto the pristine white sandy foreshore, and looked along at relaxed houses and shacks overlooking the edge of the beach. Not a soul to be seen. Mt Wellington and the western shore of Hobart across the Derwent River looked particularly special. 10 to 15 minutes later I had walked north along the length of the beach until confronted by a rocky headland that needed to be rounded before I could continue the walk. Instead, I chose to climb the concrete stairs near the end of the beach that returned me up to the road. I noted that the rocks were reasonably smooth and could easily be accessed, but as usual and not knowing which future obstacles might present themselves I decided on the more obvious route; all the time I remembering my return bus departed at 2.02 pm and that I needed to make sure I caught it (because the later one did not depart until 5.55 pm). 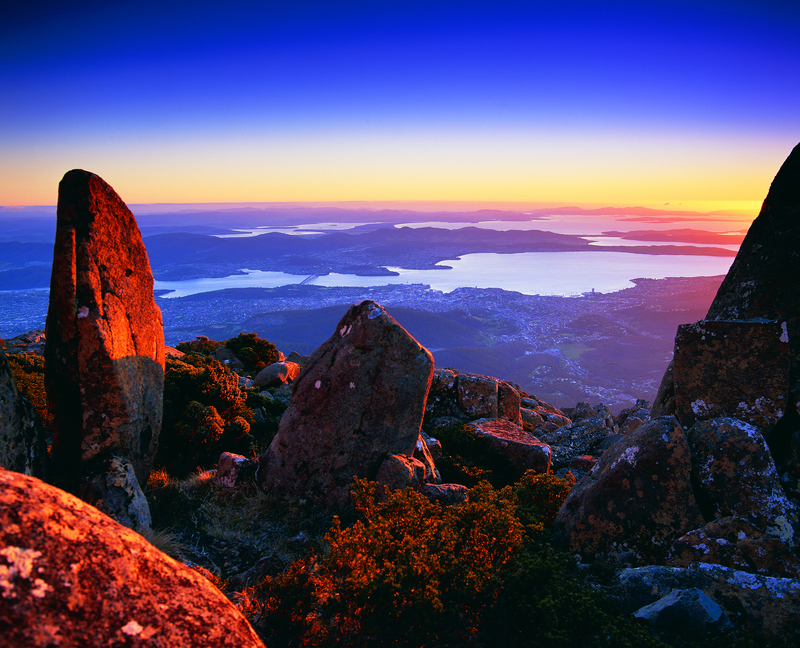 This entry was posted in Derwent River, Hobart, Mount Wellington, Walking and tagged Derwent River, Gellibrand Point, Hobart, Mt Wellington, Opossum Bay, Opossum Bay shop on September 5, 2014 by Tasmanian traveller.